On this episode of HRN On Tour, Kat doesn’t have to travel far to get a taste of the international! She heads over the East River to the James Beard House to catch up with two of Atlanta’s best chefs: Matthew Basford of the rustically elegant Canoe, and Nick Leahy of Saltyard, whose aesthetic leans toward modern and sleek. 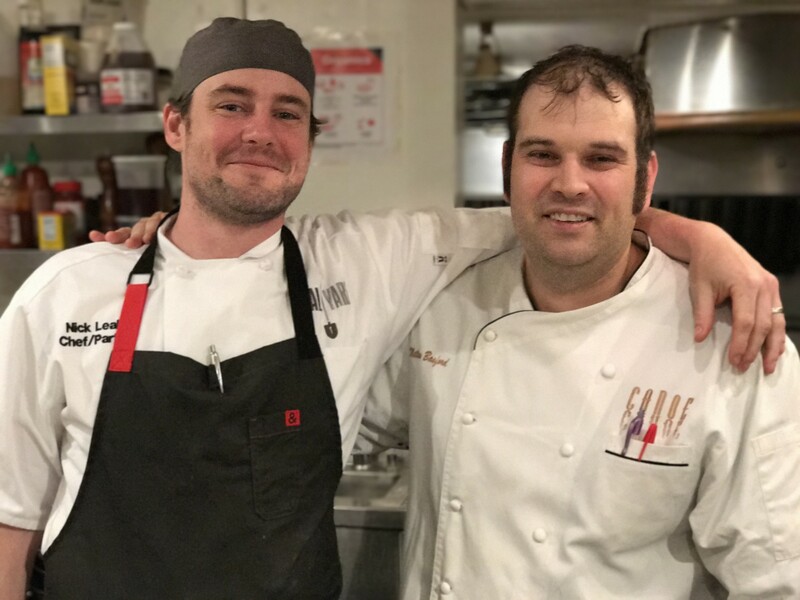 Matt and Nick teamed up on their menu, titled “Town and Country,” which reflects the cuisine they serve in their acclaimed restaurants, as well as their international upbringings. Kat sits down to hear about the Australian, Bermudian, and English influences – to name a few – in Matt and Nick’s cooking and learn about locally sourced Southern ingredients they brought with them from Atlanta. Growing up in Australia, Matthew Basford was exposed to cooking techniques that drew influence from Pan-Asian cuisine. He started his culinary journey at Pear Tree Cottage in Greenock, followed by Vintner’s Bar and Grill in Angaston. He was awarded Second Place in Tasting Australia in two consecutive competitions and placed in the Nestle Junior Chefs of Australia Competition, a yearly event that honors the top apprentices in the country. After completing his four year apprenticeship, Basford was officially a “Qualified Chef”, and travelled to the United States. In December 2002, Basford moved to New Orleans, LA and began working at Dominique’s, at the Maison Dupuy Hotel in the French Quarter. When Hurricane Katrina hit New Orleans in 2005, Basford was relocated to Atlanta, GA. Within a week, Basford found himself in the Canoe kitchen. He started as line cook, and worked his way up the ranks from sous chef to executive sous chef, and finally, chef de cuisine. In 2013, Basford was named executive chef of Canoe and continues the legacy of the city’s longstanding bastion of fine dining. His commitment to serving fresh, seasonal ingredients marries well with the rich tradition of Canoe. Nick Leahy, an Atlanta-based Chef, is most notably known for his work at Saltyard, a tapas style restaurant in the affluent Buckhead area of the city. 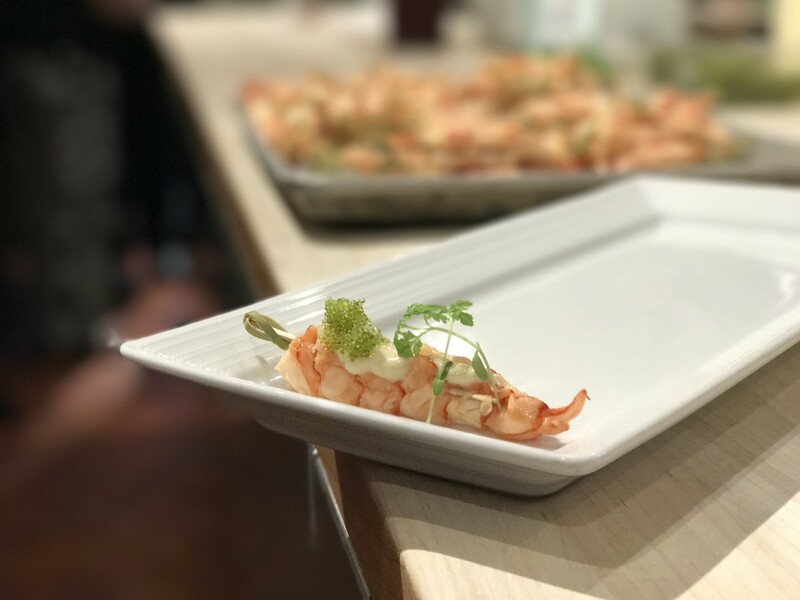 Since opening, Saltyard has gained much recognition in publications such as The Atlantan, Zagat’s, and Jezebel Magazine, where it most recently landed on the Top 100 Hottest Atlanta Restaurants list. Nick has also made a name for himself within the culinary community. Most recently, he was the winner of the Taste of Atlanta VIP Chef’s Cook-Off competition, as well as, the “Golden Ticket” recipient for the Atlanta Battle of the Burgers. Additionally, he has appeared on several television shows and local channels, including Atlanta and Company, and CBS 46. 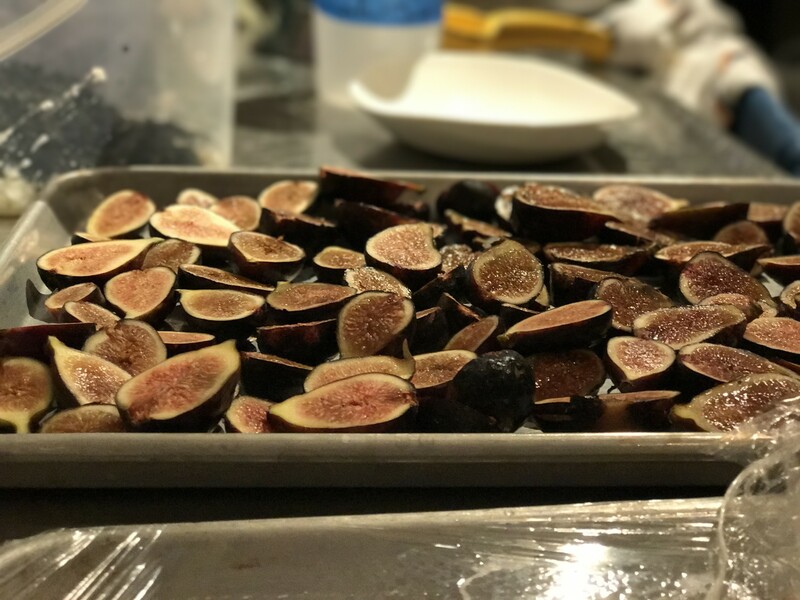 Prior to his work at Saltyard, Nick honed his skills while working for some of the biggest culinary names in Atlanta, including Concentrics, Chef Chip Ulbrich, and 5th Group, as well as, working as the Executive Chef for Daylesford Organic in London, England. From an early age, Nick was exposed to many cultures, which is apparent in his cooking style. Born in Bermuda, and partially raised in Europe as a child (and recently returning from another stint abroad), Nick refers to his cooking as “globally inspired with an emphasis on using local and regional ingredients.” His passion for food and culture is apparent at Saltyard, where the menu samples may include Spanish-style boquerones (marinated anchovies) or Italian burrata, to name a few. While always experimenting with international flavors, Nick is also passionate about using local, organic ingredients whenever possible. As a true believer in the farm-to-table movement, he works daily with local farmers to source the best possible ingredients. 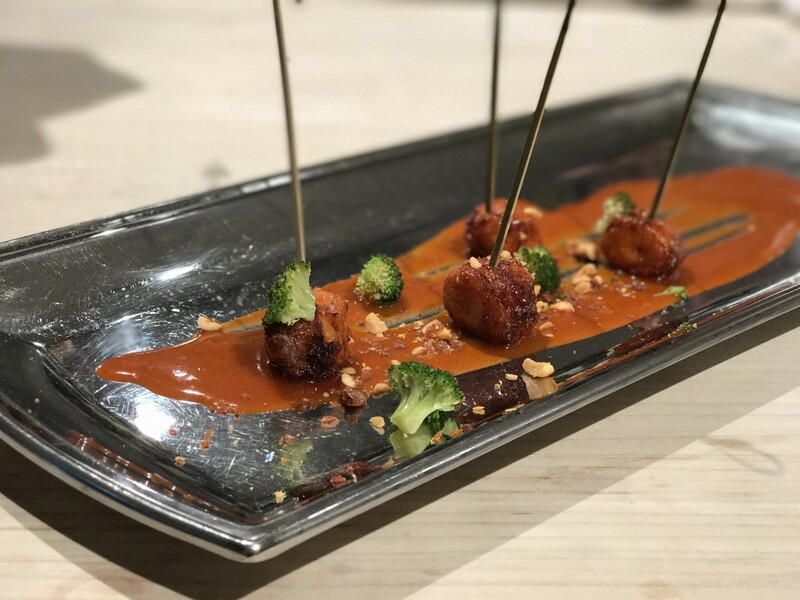 It is this combination of global fare with local ingredients that best represents Nick himself, a man with both international and southern roots. Nick’s passion for food extends beyond the restaurant as well. In September 2014, he was the first Chef ever to be elected to the Board of Trustees for Meals on Wheels Atlanta (MOWA), a charitable organization that provides daily meals to senior citizens in need. Since becoming involved, Nick has facilitated a partnership between the Peachtree Road Farmer’s Market and MOWA, which enables MOWA to purchase organic produce directly from the farmers at a discount, while allowing the farmers to liquidate their leftover goods. Most importantly, the partnership provides the MOWA seniors all the benefits of eating locally grown produce.